My web browser of choice is Google Chrome. The first thing I do when I install any operating system is to install Google Chrome. 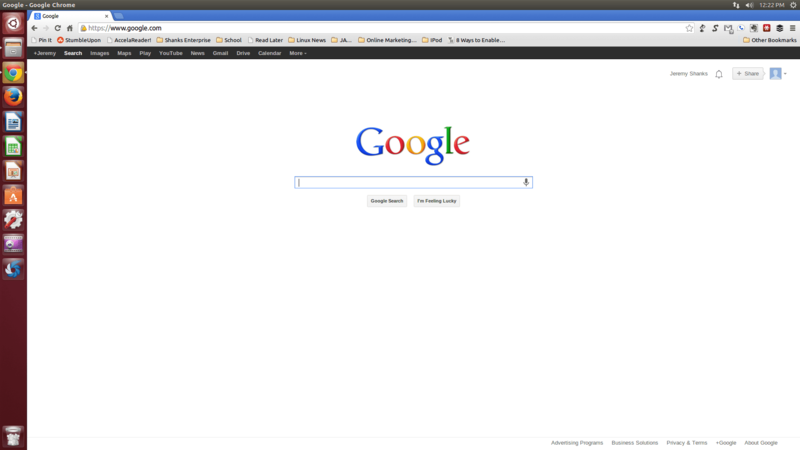 In this tutorial I will show you how to install Google Chrome on Ubuntu 13.04. The first thing to do when installing Google Chrome is to go to http://www.google.com/chrome and click on “Download Chrome”. You will then be asked to select your download package. Select your architecture and the “Debian/Ubuntu” selection. You should then accept the licence agreement. as shown below. The download will then begin and once you select “OK” to save the file. Once the download is complete you should then open the .deb file with will open into the Ubuntu Software Center as shown below. You should then click on “Install” to begin the installation process as shown in the screenshot below. You will then be asked to enter your user password to installation permission to begin. When the installation is complete the Ubuntu Software Center should appear as shown below. You will then be able to go to the Dash Launcher and run Google Chrome. If Google Chrome opens and runs successfully then congratulations on installing Google Chrome on Ubuntu 13.04. If you have any questions or comments do not hesitate to leave a comment below. Also, if you found this tutorial helpful then please like and share so that other people can find this tutorial more easily.